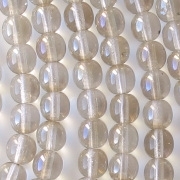 Clear beads with a light brown luster coating. 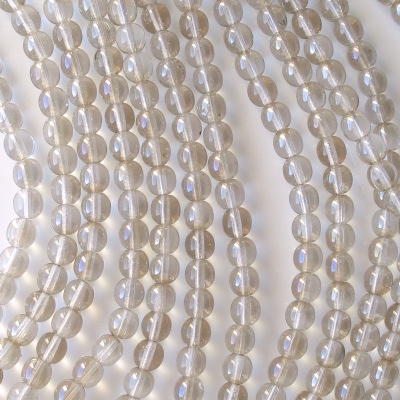 A small percentage of beads – perhaps 5% – have dirt in the glass. 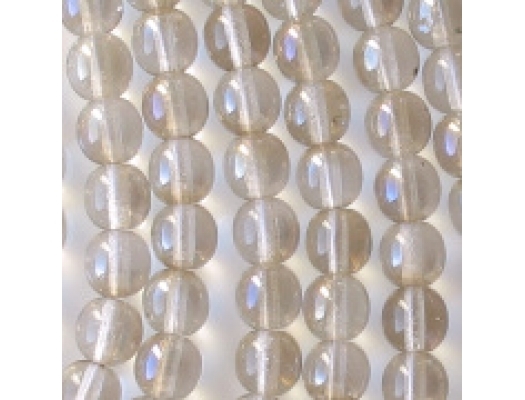 Also, the holes are a little rough; and since these are translucent beads, that roughness looks like frostiness through the glass. When I look at these beads at night, the coating looks yellowish, but that's probably because artificial light has a yellowish cast. 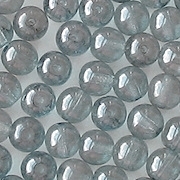 Czech glass beads which are clear (colorless) are called "crystal", though there is no lead in them and there is nothing special about the glass.